Enter Enter!! 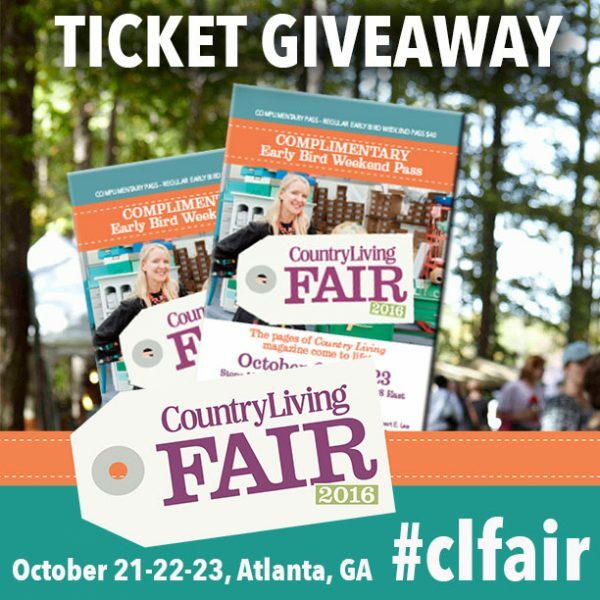 Country Living Fair Giveaway! Hi gang! 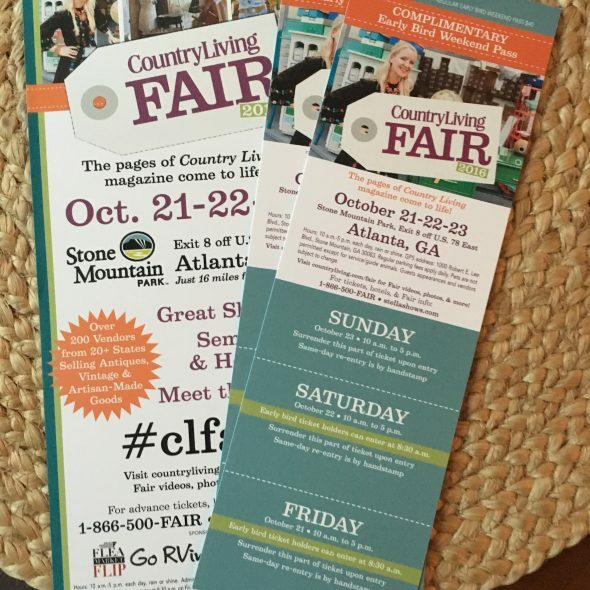 Just popping in on this Monday to remind you to enter my giveaway for this weekend’s Country Living Fair! I’ll be there on Friday the 21st so if you’d like to meet up, let me know! Well, I haven’t been to the Country Living Fair yet, but what I love about it is all my favorite local bloggers are there and they give local bloggers the chance to present. I’m glad you posted about this – I didn’t know it was this weekend and I had been looking for something fun to do (it’s my birthday weekend and I’ll already be down that way on Saturday). I’ll have to go see what they have scheduled for Saturday. Would love to spend a lovely Georgia weekend at the fair!! Have fun at the Fair Heidi…Sad that I am unable to attend this year!